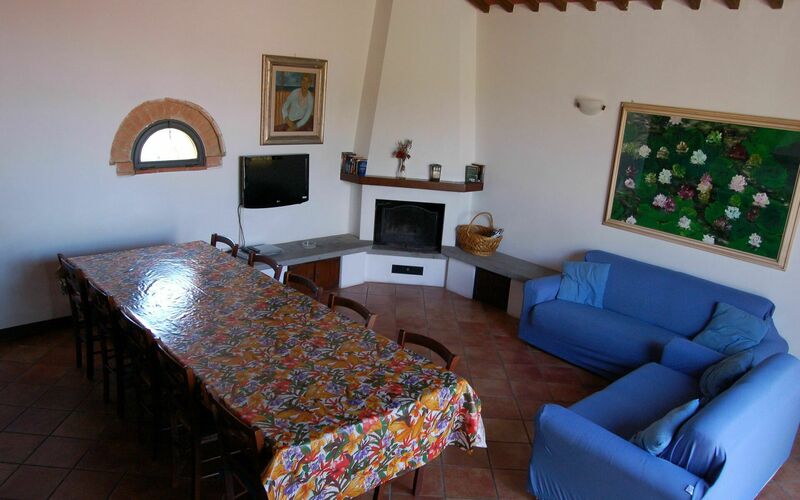 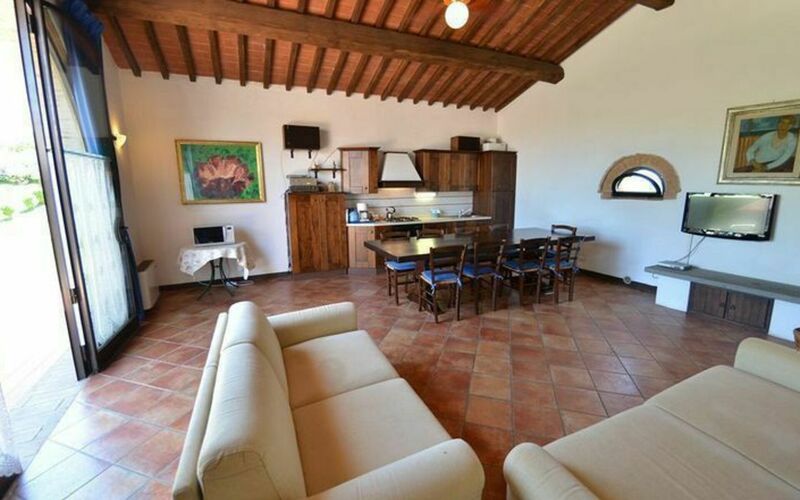 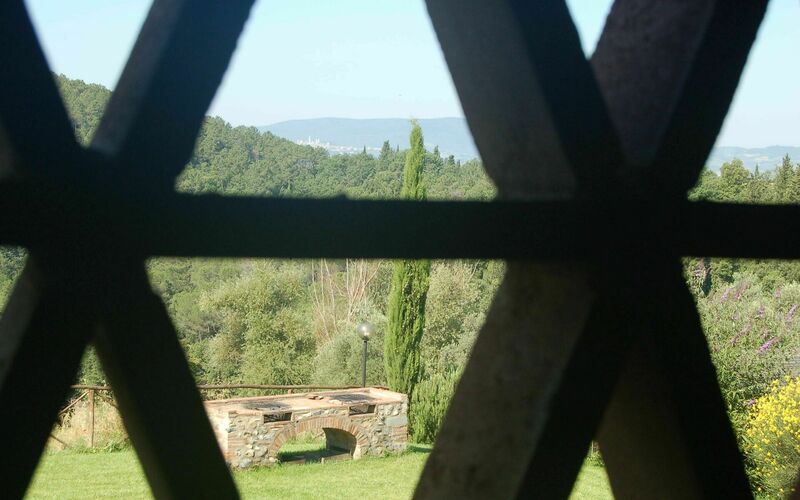 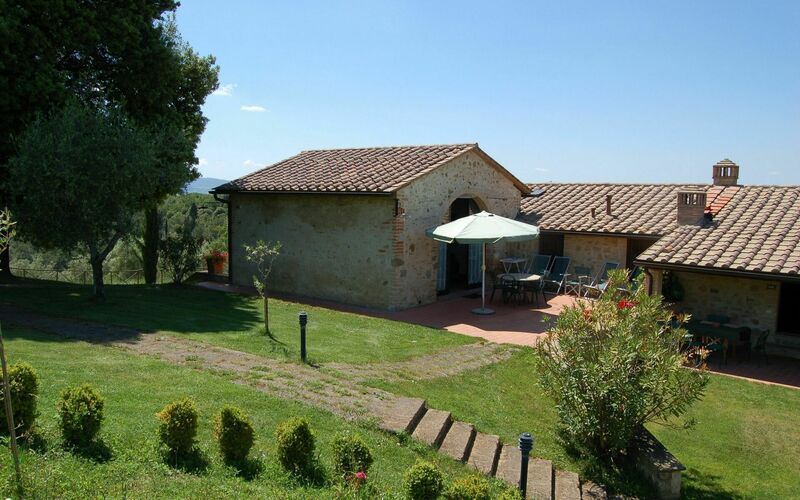 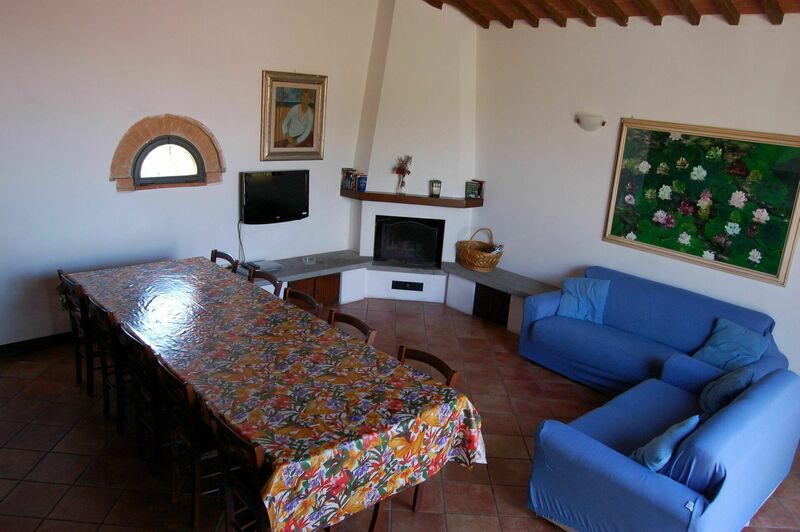 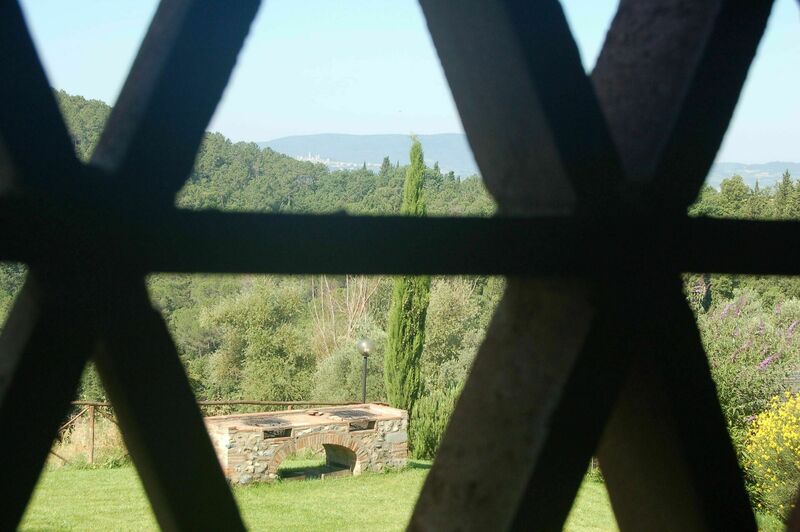 This apartment offers to the guests a splendid view over the surrounding countryside. 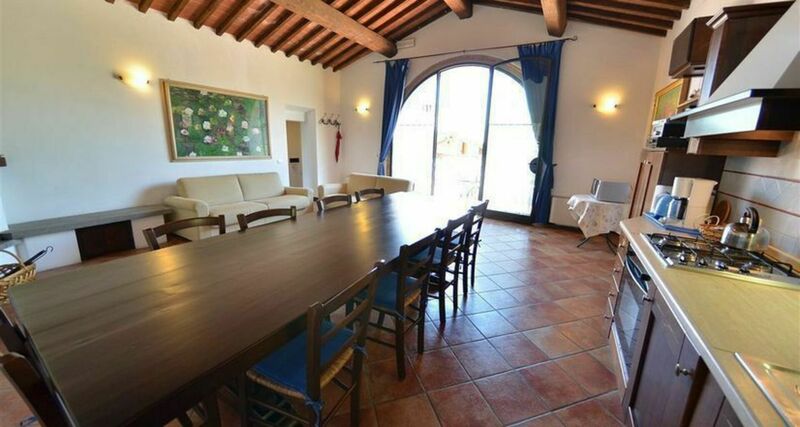 From the private, fully furnished terrace you enter the ample lounge through a large, arched glass door. 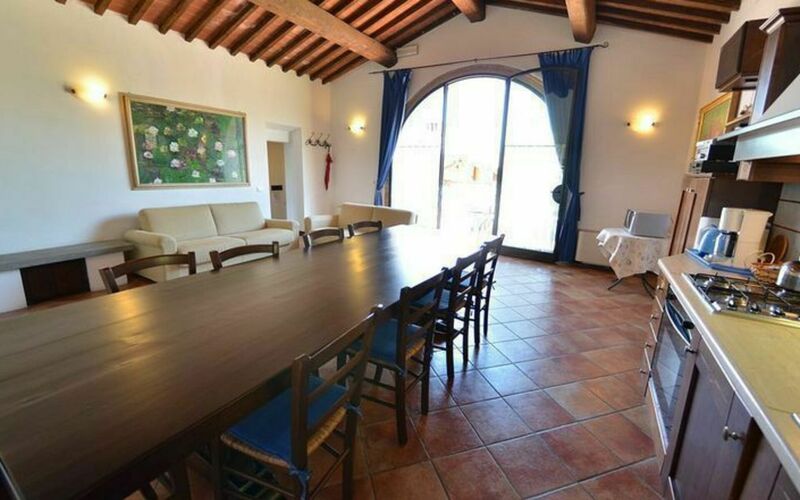 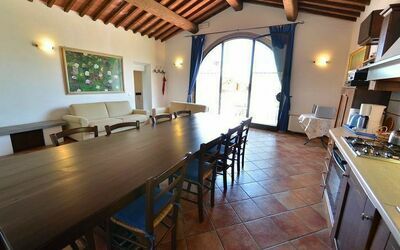 The long dining table is typical of the ancient Tuscan farmhouses where large families used to live, and give the opportunity to meet with friends enjoying together some tasteful Tuscan food with excellent Tuscan wine. To the right of the lounge a distinctive terracotta fireplace makes the atmosphere familiar, warm and comfortable thanks to its side benches in timber and terracotta bricks. 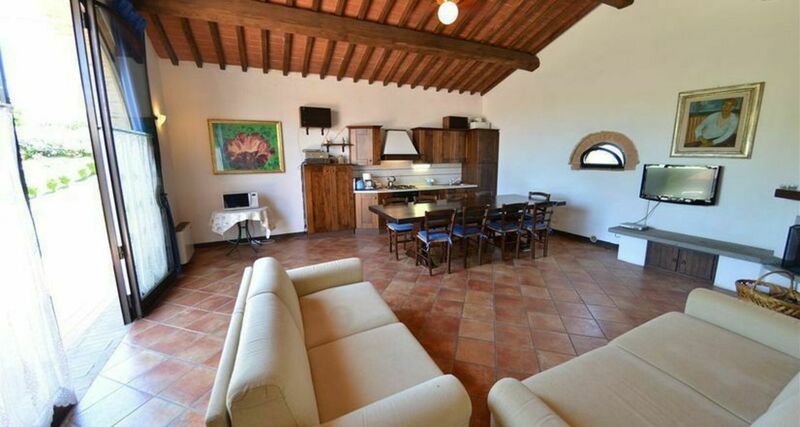 To the left there is a fully equipped kitchen, practical and functional. 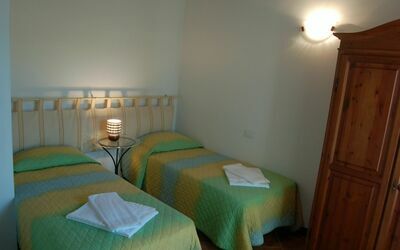 Two steps lead to the 2 bedrooms and the bathroom with shower. 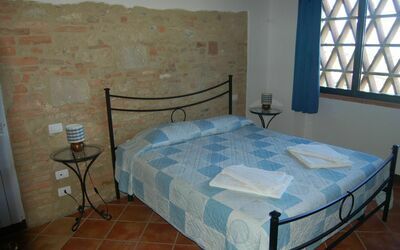 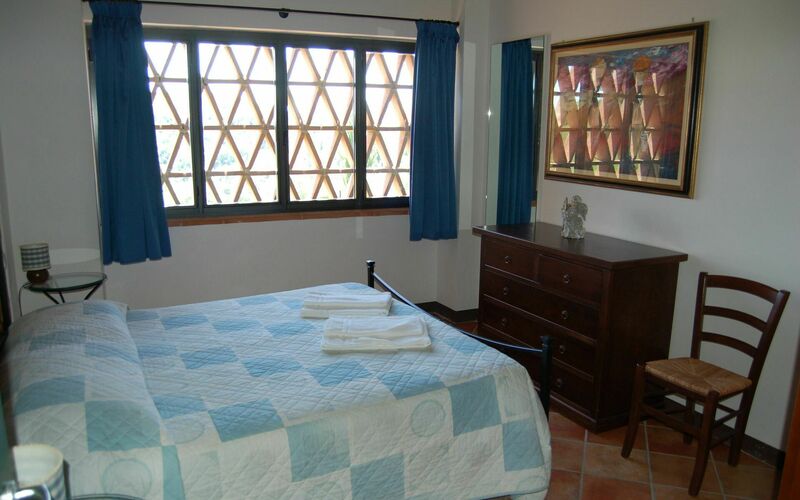 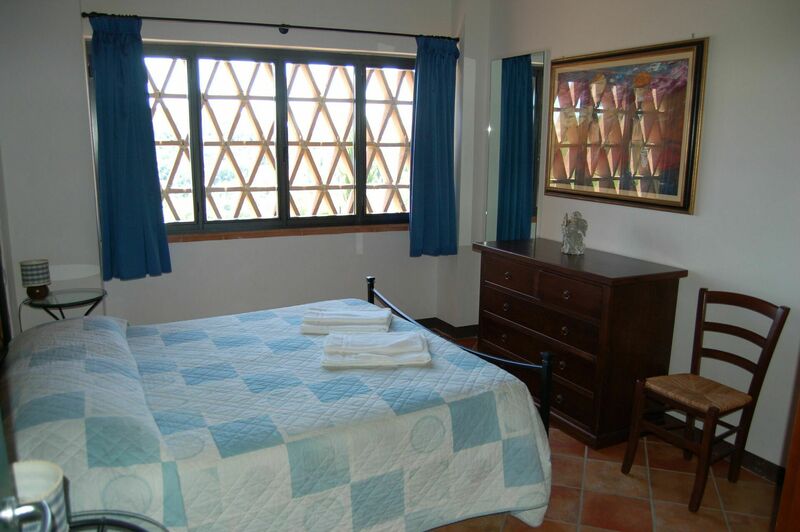 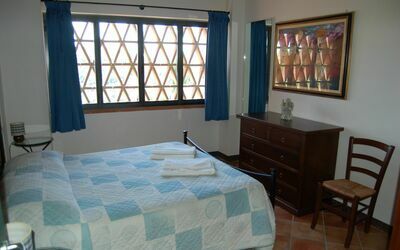 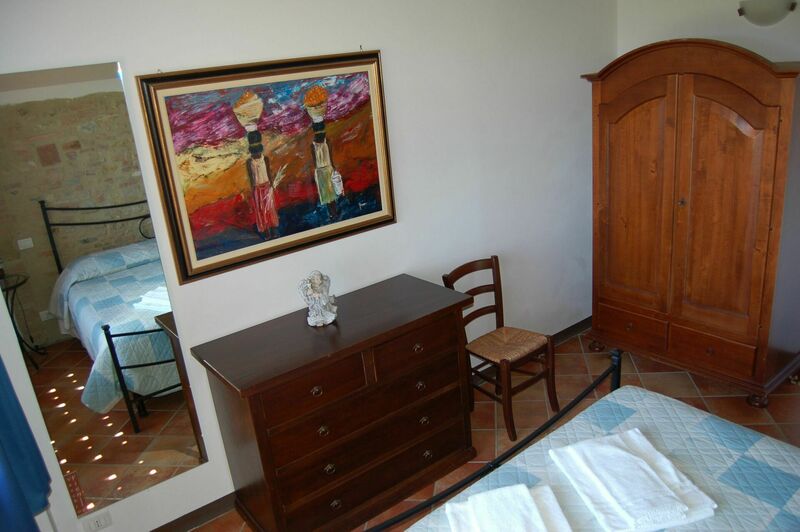 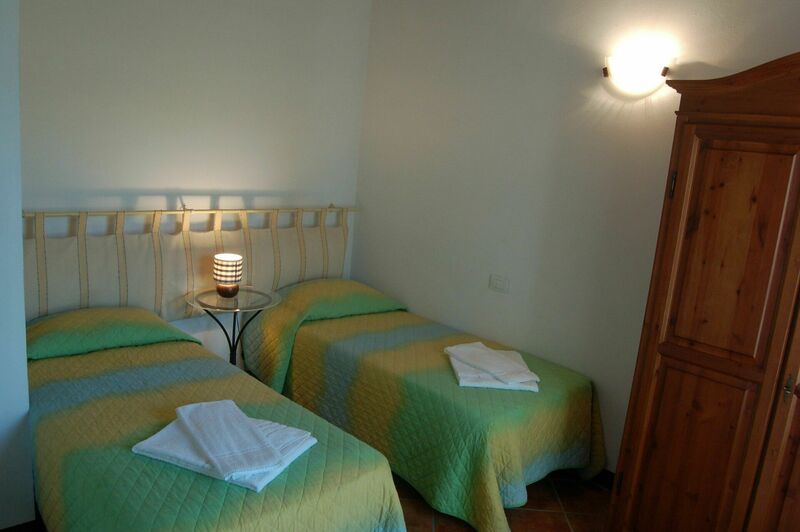 The main double bedroom has two large windows with thin terracotta bricks, typical of the old barns in Tuscan farmhouses, the other bedroom has two single bed. Thanks to this rustic finish the room is always shady and cool, without precluding the enchanting view of the surrounding countryside.